In the wake of UMBC’s historic upset over No. 1 overall seed Virginia in the NCAA tournament, it’s easy to think that crazy upsets can, and do, regularly happen — that underdog teams can use a perfect storm of events to upset a powerhouse. 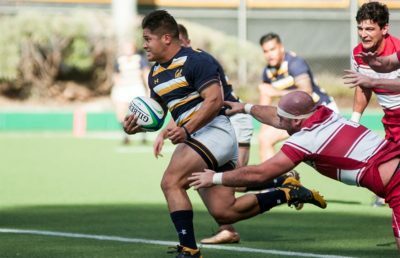 But despite that notion, which entered into the collective psyche Friday night, no such upset occured Saturday afternoon, as the Cal rugby team crushed Utah, 80-0. Despite escaping rainy California to play the Utes, the Bears (18-1, 6-0) still faced obstinate weather, encountering a snow-covered field in Salt Lake City. The unfriendly weather couldn’t slow Cal down, though, as the Bears tallied their first points in the fifth minute and continued on like a well-oiled machine from there. Cal took control in the first half of the game, scoring all 33 of their first-half points in the span of 13 minutes. 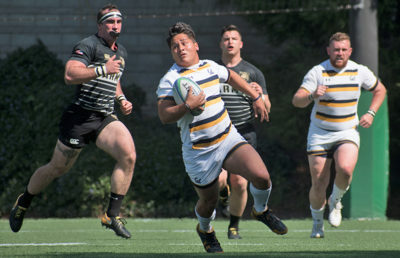 The majority of those points came from two players, with Dunn scoring three tries and sophomore center Christian Dyer tallying four conversions. Cal went scoreless for the last 12 minutes of the half, but the drought was not detrimental as the defense pitched a shutout for the entire contest. In the second half, that chemistry continued to display itself in full force, as the Bears scored 47 more points throughout the course of the latter 40 minutes. Dunn continued scoring for Cal, tallying the first try of the second half for the Bears in the 47th minute. 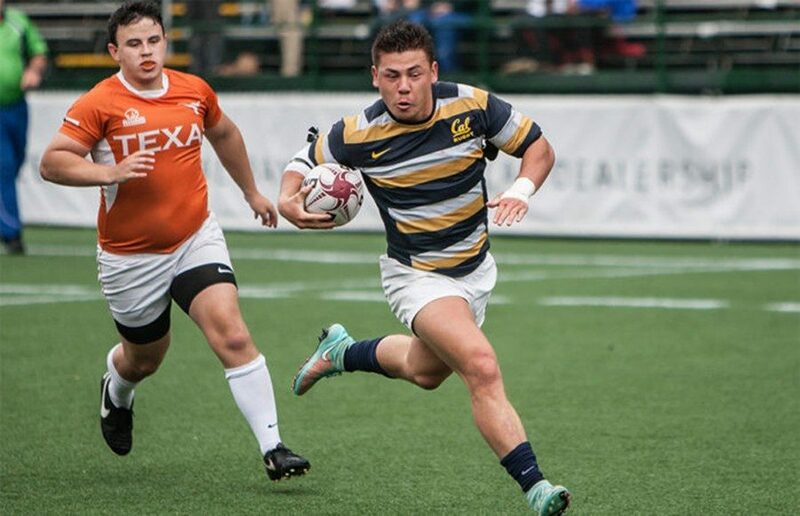 From there, sophomore wing Sam Cusano took control, scoring three tries over the course of the second half. 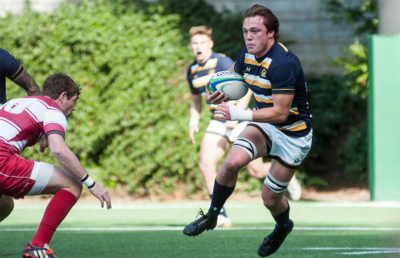 Fifth-year flyhalf Jamie Howells also had an effective presence, scoring six conversions for the Bears in the second half. In that time Howells displayed impressive accuracy, missing just one conversion attempt. “I think one of the great things that we did, in the second half, our lineups and scrums improved tremendously, which was a huge key for success in the second half,” Dunn said. The shutout win against Utah marks the final game on the Bears’ conference schedule — throughout which Cal has gone undefeated.